The green spaces and cultural landmarks of Ljubljana make the capital city of Slovenia a top emerging European destination. During your stay, you’ll get the chance to visit museums, national monuments, and even a national zoo. 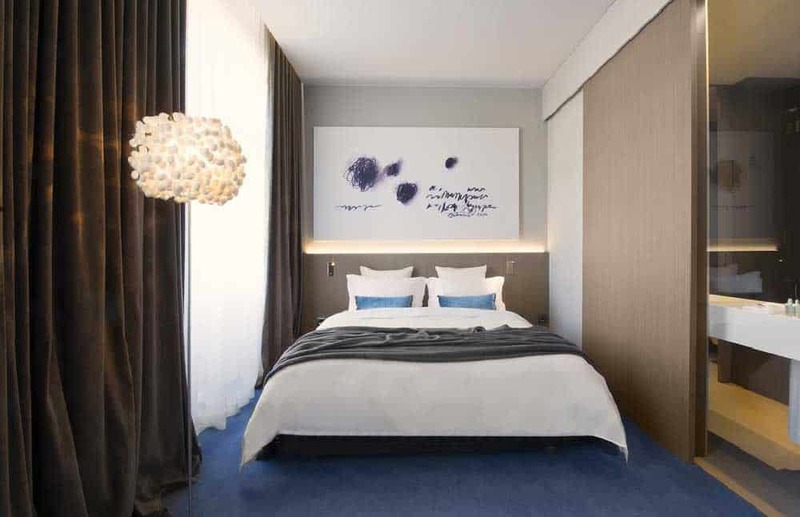 Besides deciding what to see first, you may wonder where to stay in Ljubljana. If you’re travelling to the city for the first time, you may want to stay close to the top tourist attractions in Ljubljana, many of which are situated in the Old Town. Overall, the city centre offers the best nightlife while Metelkova is considered one of the hippest parts of the city. 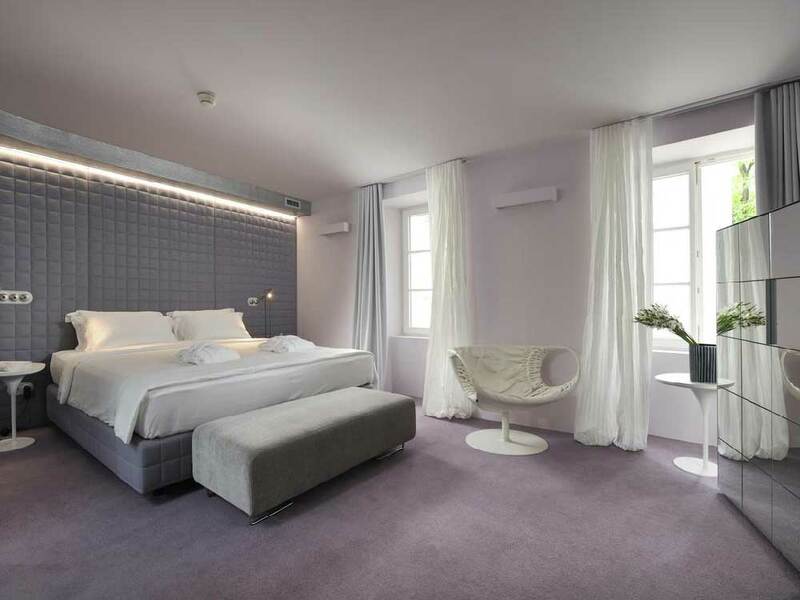 Located a block from the Ljubljanica River, Hotel Cubo is close to the action. It’s a four-star hotel with attentive staff and free breakfast. As one of the best places to stay in Ljubljana, vacancies get snapped up quickly during the peak tourist seasons. Try to book early to get a good room. 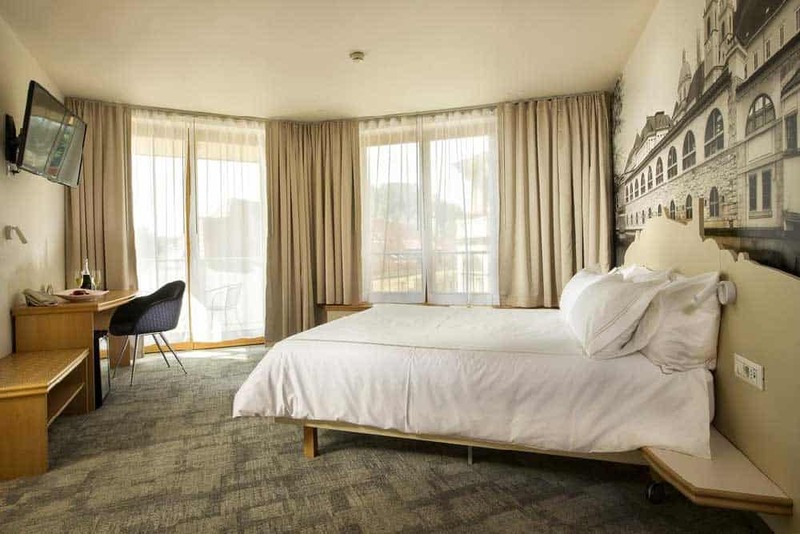 Housed in a historic building, staying in Hotel Cubo adds to the charm of exploring the older parts of the city. Some of the closest attractions include the National University Library of Slovenia and the City Museum. You’re also just a short walk from Cobbler’s Bridge, taking you across the river and into the centre of the Old Town. While the building is a protected site featuring older architecture, the interior is entirely modern. The rooms are classy and provide views of the surrounding neighbourhood. 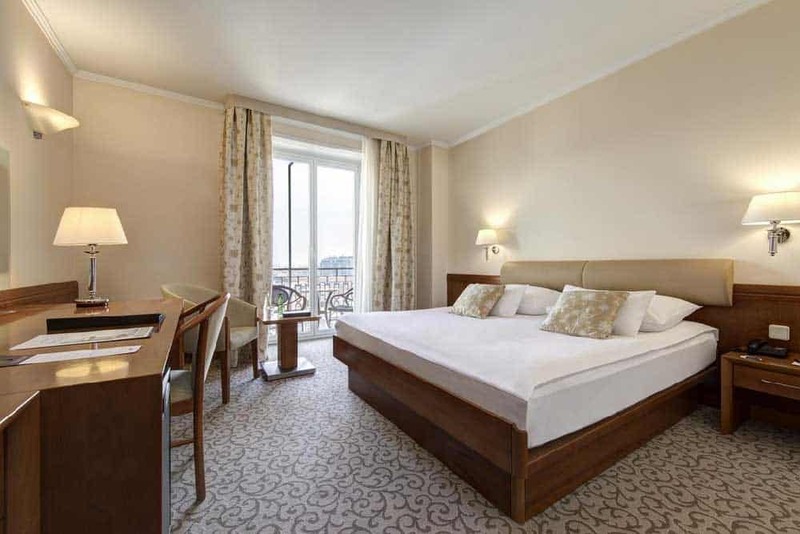 Boasting one of the best locations, Grand Hotel Union is a top-rated hotel just steps away from Preseren Square. It’s housed inside a historic building with Art Nouveau architecture and décor. The hotel prides itself on housing famous guests, including Orson Welles, Bill Clinton, and the Dalai Lama. Besides a great location, the Grand Hotel Union offers spacious rooms with modern amenities. If you’re lucky, you’ll get a room with a view of the square and the top of Ljubljana Cathedral. On the top floor, the hotel offers a large pool with great views of Ljubljana Castle, only a kilometre away. You’re also just 100 metres from the Ljubljana River Promenade. On the ground floor, you can grab a cup of coffee or a light snack at the popular Grand Union Café. The hotel also has its own restaurant, bar, and private garden. For wine aficionados, the hotel has a wine library with a curated selection of local Slovenian wines. 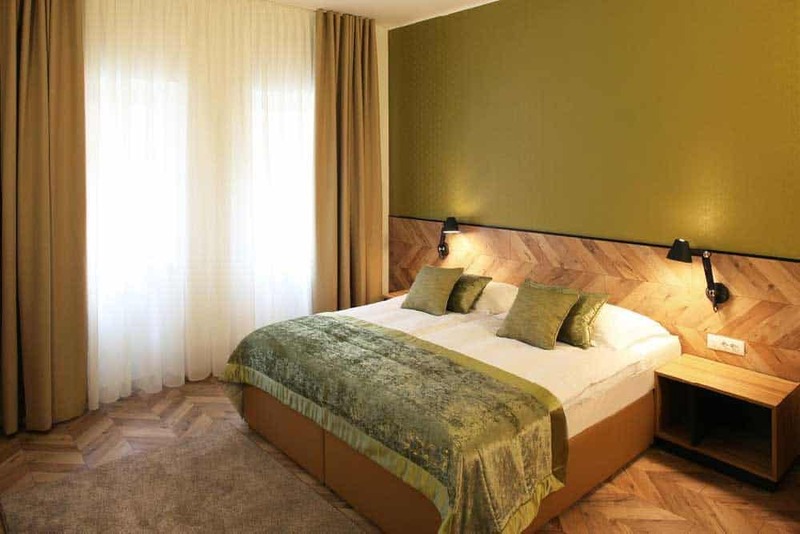 Two blocks from Preseren Square, Urban Hotel sits on the border of modern Ljubljana and Old Town. You can easily walk to Triple Bridge, taking you across the river and into the centre of the older part of the city. To help you find your way around the city, the Urban Hotel gives each guest a smartphone that is preloaded with a Ljubljana guide and 30 minutes of local calls. You also receive a push scooter. It’s an interesting way to attract guests to a hotel that’s already an attractive option due to its location. Most guests compliment the décor of this four-star hotel, featuring a Mediterranean flair. The suites are also roomy. 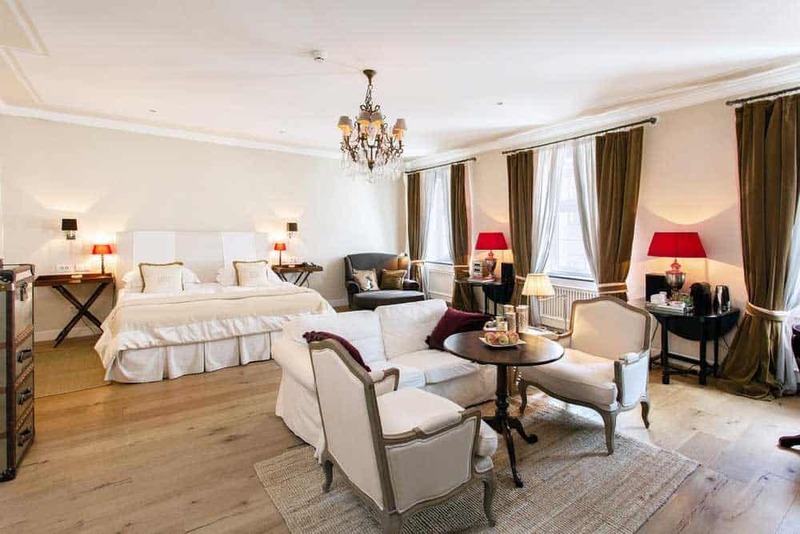 The nearest attractions include the National Gallery and Ljubljana City Theatre, but you’re still within walking distance of all the main landmarks, including Ljubljana Cathedral and the rest of the Old Town. If you want to feel like royalty, consider staying at Lesar Hotel Angel, where the rooms are decked out with luxurious furnishings. 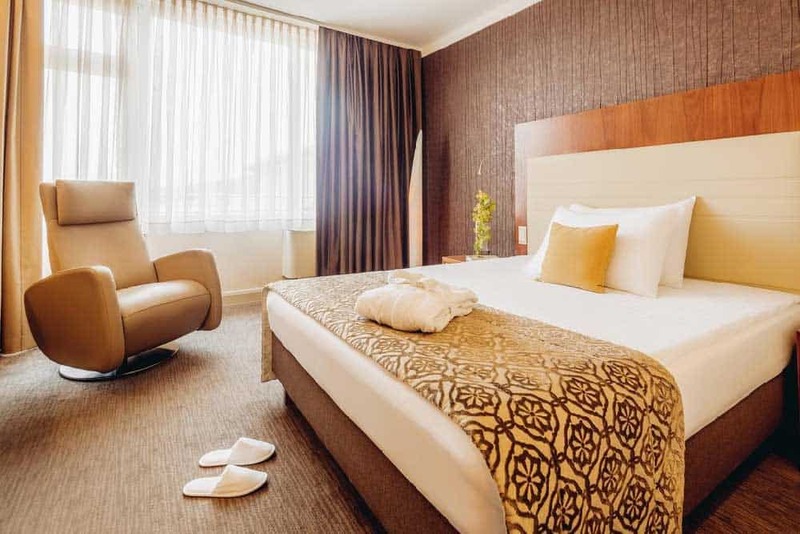 The four-star hotel is centrally located, making it easier to explore Ljubljana during a short stay. While there’s no restaurant inside Lesar Hotel Angel, there’s one just around the corner. You can dine on international or local cuisine before you head out to visit the main attractions of Ljubljana. The hotel is located on Gornji Square, at the foot of Castle Hill and surrounded by Old Town. It’s housed inside a medieval building on the slope of the hill. You can even walk from the hotel’s private garden to the castle, as the garden connects with the Cat’s Path, taking you to the top of the hill. A newer hotel, Hotel Vila Katrca is a couple of kilometres from the centre of the city. While it’s a further walk, you get to save money on your accommodations. It’s still easy to get to Old Town, as the hotel sits on one of the main roads into the city. To help attract guests to this out of the way spot, Hotel Vila Katrca caters to your every need. They even allow pets for an extra fee. The hotel is one of the furthest from the centre, but it’s also closer to Tivoli Park. The large city park covers a lot of ground on the western side of the city, providing many kilometres of walking paths surrounded by beautiful scenery, including several historic mansions. Overall, it’s one of the best values for a three-star hotel. A short walk from Dragon Bridge and Triple Bridge, City Hotel Ljubljana is a popular choice for tourists. The rooms are brightly decorated while the southern-facing rooms offer views of Old Town. Before venturing outside, you can enjoy food or drinks at the bar or restaurant inside the City Hotel Ljubljana. When you’re ready to check out the sites, the hotel provides a free bike. As one of the most cyclist-friendly cities in Europe, a bike is one of the easiest ways to explore the city. The hotel also has a lounge area and library, but the best feature is the café bar with views of Ljubljana Castle. The location of this three-star hotel means that vacancies fill up quickly, so remember to book early. On the southern side of Castle Hill, Adora Hotel provides a convenient location for tourists that want to see all of Ljubljana. After walking out the front doors, you can travel one of the paths that take you up the hill to the castle. Housed in a traditional building, Adora Hotel is a lovely boutique-style hotel with hardwood floors, wooden furniture, and its own garden. Like several of the other hotels, the staff also provides guests with free bikes for getting around the city. While you can easily reach most of the main attractions within minutes, there’s plenty to keep you at the hotel. Relax with a book in the back garden or taste local wines at the hotel’s private bar. The hotel’s reception hall also has books, board games, and free internet. Like the previous Grand Hotel Union, Grand Hotel Union Business offers swanky accommodations at a decent price. 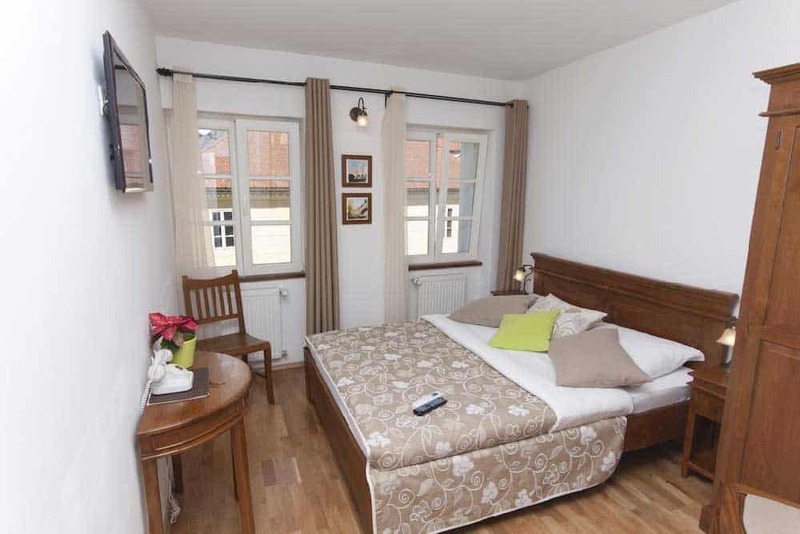 The hotel is also less than 250 metres from the historic centre of the city and one block from Preseren Square. If you don’t want to skip your workouts during your trip, you’ll enjoy the spacious rooms at Grand Hotel Union Business. Each room has its own workout area. 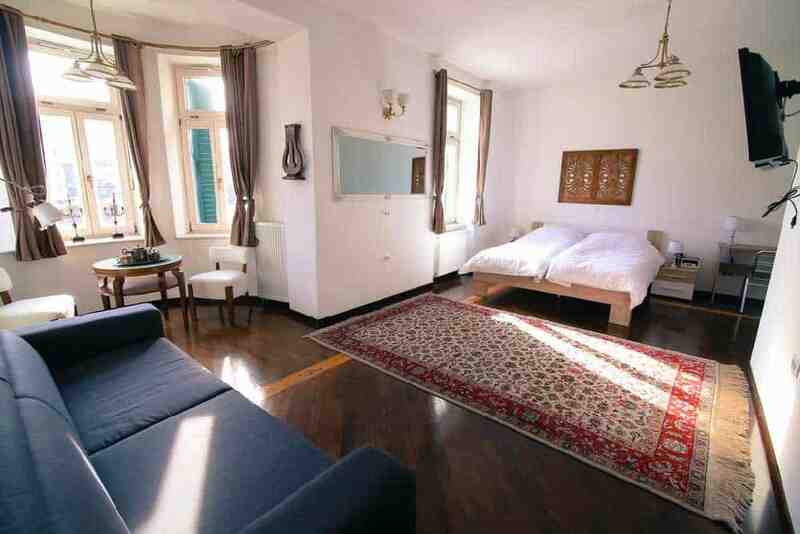 There are also several rooms with balconies that provide views of Ljubljana Castle. The hotel has its own restaurant, café, and pastry shop. While the hotel doesn’t offer a free bike, it does offer rentals. You can rent a bike, electric scooter, or car to get around the city. The roof of the hotel includes a swimming pool and has its own view of the castle and Old Town. Offering perhaps the best location of all the hotels in Ljubljana, Vander Urbani Resort is just 200 metres from the Main Square. You can step out the doors of the hotel and surround yourself with ancient architecture and attractions. During your stay at Vander Urbani Resort, you can enjoy local cuisine and gourmet snacks at the hotel’s restaurant. The hotel even has its own wine cellar with a wide selection of Slovene wines. The hotel staff can also help arrange bike or car rentals for an added fee. The hotel has an interesting history. The owners met at the hotel years ago, married, and later bought the hotel. Besides offering close access to the Main Square, you’re within walking distance of the castle, Triple Bridge, Dragon Bridge, and most of the other top Ljubljana landmarks. A four-star hotel, Best Western Premier Hotel Slon is a highly-rated option. It’s got its own restaurant, spa, and fitness centre, but the real highlight is the location. You’re only a few minutes from Triple Bridge, which takes you into Old Town. The restaurant inside the Best Western Premier Hotel Slon is also a great reason to consider staying here. It offers seasonal menus with a variety of locally grown ingredients obtained fresh from the local markets. In the afternoon, enjoy three-course lunches. In the evening, relax with local wines. The hotel offers a variety of rooms to suit any tourist, with affordable single rooms and luxurious suites. The nearest attractions include Preseren Square and the Franciscan Church, commonly called the Pink Church for the way that the original red paint has slowly faded over time.